Gul Panag born 3 January 1979,is an Indian actress, model, and former beauty queen who competed in the Miss Universe pageant. Her full name is Gul Kirat Panag. She is 5'6" in tall. She had been in Africa during her youth for a long time. Gul Panag are well known for her attractive dimples. Those dimples of her suppose to be known as the secret of her rapid success. She loves to wear track pants and wide necked T-shirts when going for shooting. At the time of any marriage Gul Panag like to wear Saari or Salwar Kamij. In the Award functions she mostly wears Gown. Urvasi Kaur, Mandira Virk and Varun Bahal are Gul Panag's favourite fashion designers. Favourite colour of Gul Panag is bright yellow. 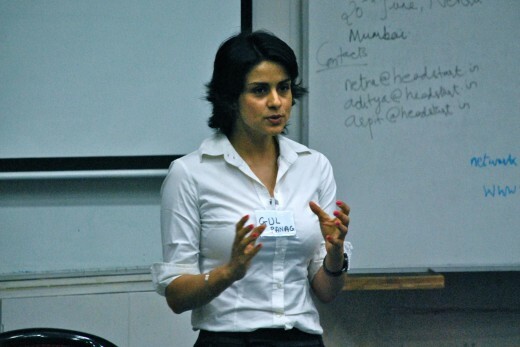 Favourite dress of Gul Panag is pair of shorts and a comfy T-shirt. Favourite fabric of Gul Panag is Chiffon, Georgette. Favourite accessory of Gul Panag is a pair of shoes. Scarfs entice Gul Panag very much. Gul started her education in Sangrur, in Punjab. However, her father's army career ensured that, she moved to different places across India (and abroad). As a result of this, she studied in 14 different schools including Kendriya Vidyalayas (Chandigarh, Mhow, Leh and Wellington, Tamil Nadu), The Lawrence School, Lovedale and the International School of Lusaka, Zambia. She did her Bachelors in Mathematics from Punjabi University, Patiala, and Masters in Political Science from Panjab University, Chandigarh.As a student, Panag was interested in sports and public speaking. She won numerous state and national level debate competitions, including two gold medals at the Annual National Inter University Debate competition. She was advised by one of the Bombay photographer, Prakash Jha, to shed some weight. Taking the advice seriously she started with exercise, jogging, body toning and diet control and was paid for her efforts. Her notable films include Dor, Dhoop,Manorama Six Feet Under, Hello, and Straight. Gul won the coveted Miss India title in 1999, and was crowned Miss Beautiful Smile at the same pageant. At the Miss Universe 1999 pageant, she was ranked among the Top 10 contestants. Gul began her career in Bollywood, with the 2003 film Dhoop. Since then, she has worked in films like Jurm (2005) and the TV series Kashmeer. She played a commoner, fighting hard to save her husband from going to the gallows, in the 2006 Nagesh Kukunoor film, Dor. In 2008, she acted in the films Hello and Summer 2007. In 2009, she was seen in the movie Straight. She featured in Rann in a role attempting to stop her boy friend from doing the right thing. Gul appeared on the front page of Maxim with whom she did a photo shoot in September 2008.Gul has appeared in numerous advertisements on television and print media over the past decade or so (most notably - The Titan Raga watches ads, and most recently in the Tata Sky ads along with Aamir Khan). Gul is the brand ambassador for Tata Sky, along with Aamir Khan.Gul is techno-savvy, with strong and interesting views on most subjects. She is highly active on Twitter. She was the Twitter Face for the Wills Lifestyle India Fashion Week held in 2009, to cover the happenings/proceedings on the micro-blogging site.She ran at the Delhi Half Marathon in November 2010, but endured eve teasing from male runners at the event. She later remarked that the attitude of men in Delhi needed to change and that the city was unsafe for women. Gul was paired with Miss Mexico Silvia Salgado. Charming the audience with eloquence and a good joke, she carried away an easy first place. "I had my first boyfriend when I was 13. So I think I'm largely heterosexual. But I'm not rigid. I'm open to experimentation sexually. After all, I'll never know until I try!" "Of late, I have been telling Raima how hot she looks. I think she is so hot." "There are a lot of gays whose mannerisms are very macho. Often, it has happened that I find a guy hot only to realise later that he's gay."
. "I loved that comment. I'm a non-conformist. I know who I am and I don't need others to tell me who I am. I know I'm not dumb. But by far, that's the cheesiest thing I've heard about myself." "I am open to doing anything. I am an actor. It's an actor's duty to do as the script demands, "
"If a woman on a bike is enough to drive any guy insane, I just don't get the point. It's not like I ride a bike in a bikini! I am wearing a jacket and a helmet, so there isn't much at display here." Gul Panag apparently fell in love with her co-star Purab Kohli.